Book NOW for a Free Night: Stay for 7 & Only Pay for 6! Situated off the east coast of Africa, the Indian Ocean island of Zanzibar is tropical paradise personified. Beautiful white sandy beaches, swaying palm trees and a brilliant turquoise ocean offer a picture-perfect backdrop for a luxury beach holiday. But beaches aren’t all there is to enjoy on a Zanzibar holiday. Take the time to explore the rural villages along the coast, the cobbled streets and spice markets of Stone Town or let your hair down at a full moon party. Spot colobus monkeys, go dolphin watching and snorkel through the colourful coral reefs to spot a variety of shimmering fish. 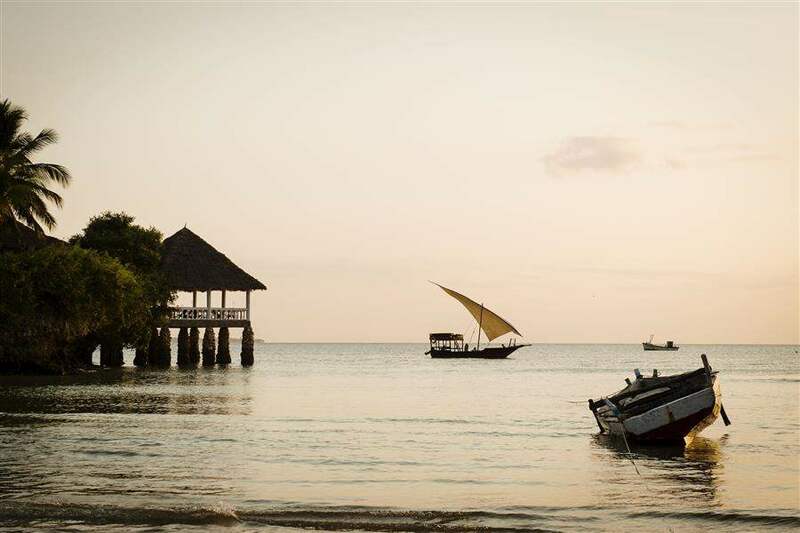 With everything from romantic beach hotels to luxurious resorts, Zanzibar offers the quintessential Indian Ocean escape. Flights to Zanzibar from the UK would go via Nairobi and SouthAfrica. There are a number of fantastic activities that Zanzibar has to offer, however snorkelling and diving are the main activities. Take a boat out to the crystal clear waters of the Indian Ocean and swim over the reefs exploring all the species of fish that hide amongst them. Take diving lessons and receive your PADI certificate so you can explore the oceans floor. Food is predominantly seafood based as the Indian Ocean supplies amazing prawns, lobster and line fish. Coconut is used in many dishes as a base for local curries. Head into Stone Town and experience all the local food vendors daily produced picked from both land and sea. Without doubt the main attraction on the island is Stone Town. Most of the hotels are within east driving distance and you can make a day of it but walking through the town and visiting the local markets where spices and local restaurants offer amazing local meals. The island is commonly known as Spice Island and this is most definitely the best way to experience it.